It’s almost Thanksgiving. Already. Which means we’ve been singing songs and dancing and rhyming about DINOSAURS! Confused? Well, then obviously you haven’t heard of DINOVEMBER! In 2012, some parents with a silly sense of humor decided to set up some action shots of their kids’ plastic dinosaurs making mischief around the house. The dinos are exceptionally badly behaved, often spilling drinks, breaking eggs, smearing toothpaste and trying to (literally) cover their tracks. 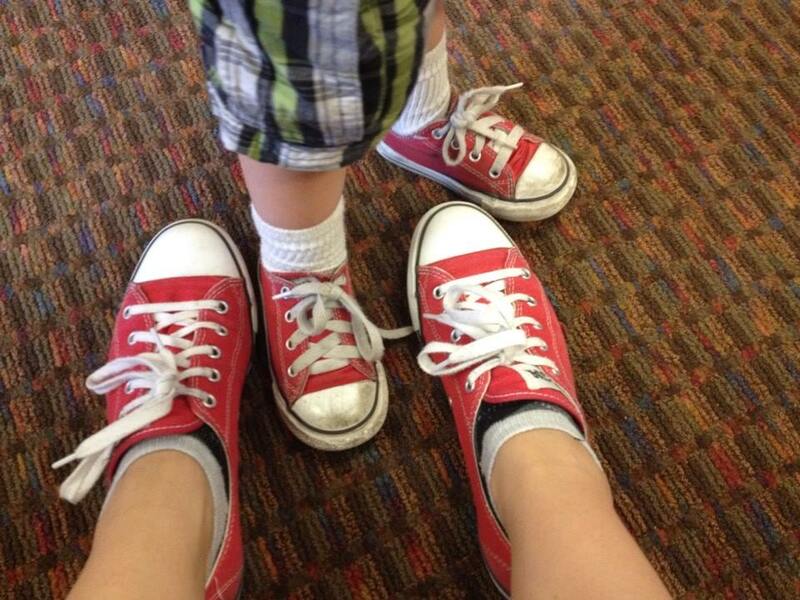 Lucky for all of us, these parents also decided to document the silliness on their Facebook page. The photo above was my single attempt last year at surprising my kids — who were totally unfazed. 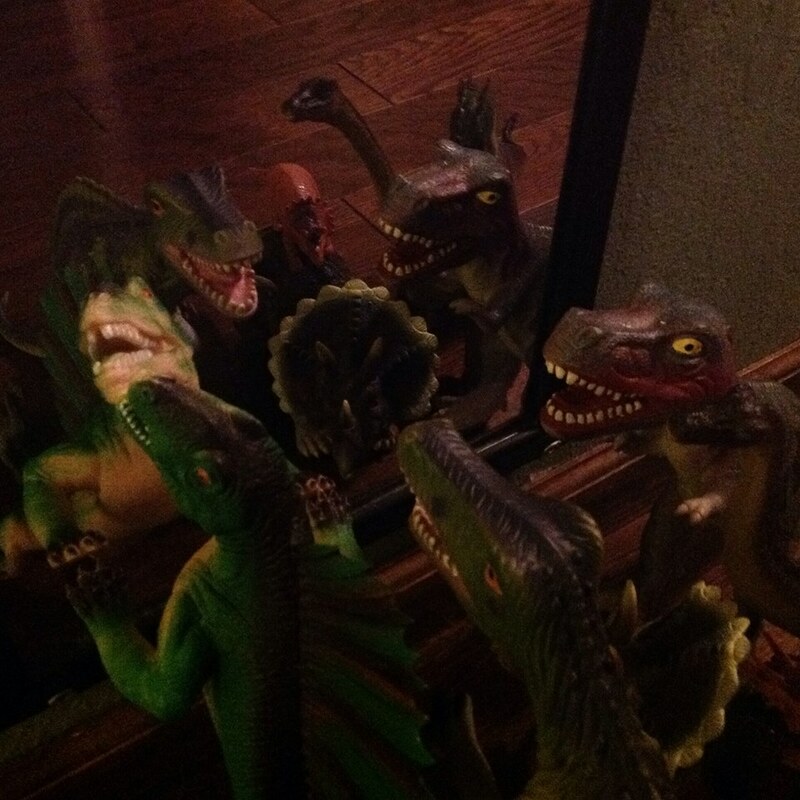 Of *course* all their dinosaurs had gathered in the hallway and were making faces in the mirror! So, if there was any question why your kids have come home talking about dinosaurs — or trying to pronounce “pachycephalosaurus” — on music day, there you have it. Each month, I try to bring a “special” instrument into music classes. Last month, it was the flute. This month I’m bringing a mountain dulcimer! Also known as the Appalachian dulcimer, this is a fairly simple instrument (Note: simple ≠ easy!) that has firm roots in American folk music. Some strings are allowed to drone, which might remind you of a sitar or even the bagpipes when you hear the dulcimer played. The tuning pegs are wood, which makes it notoriously hard to to keep in tune, especially with temperature or humidity changes. The wood pegs — and the holes they fit into — expand and contract, and that lets the strings slip out of place easily. (And startles me when they *POP* when there’s a sudden temperature change in my living room!) 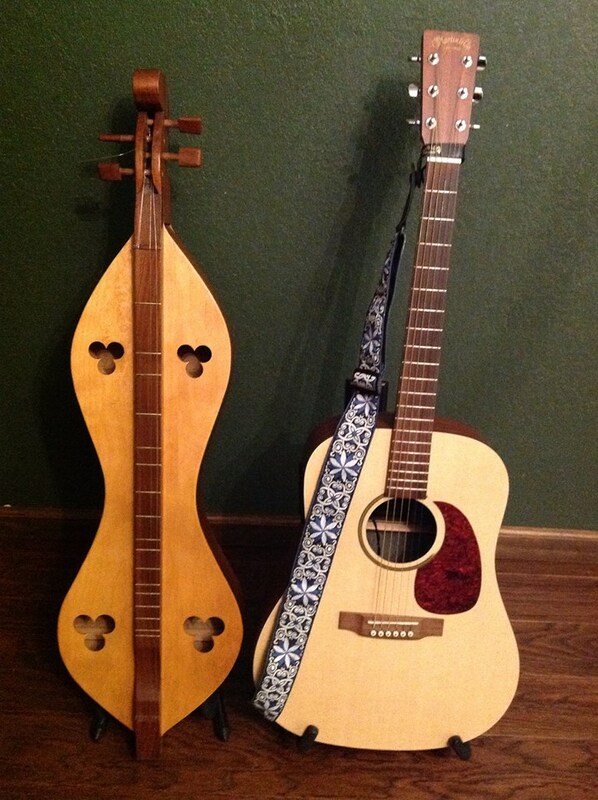 Modern dulcimers are made with geared tuners like an acoustic guitar. The only recording I have that features the dulcimer is my song TURDUCKEN, which is based on the folk song “Turkey in the Straw.” I’ll post more about Turducken next week, but here’s a link if you want to give a listen! This entry was posted in Curriculum, Holidays, Links, Original Music. Bookmark the permalink.